Hi, my name is Diana O. and I am the founder and inventor of Lacti-Cups. I worked as a Clinical Lactation Consultant in Postpartum and NICU (Neonatal Intensive Care Unit) for over 17 years. During that time, I provided care and support to over 40,000 babiesand their families, encouraging and leading them to achieve their breastfeeding goals. As a professional, I felt frustrated while I noticed how much breastfeeding mothers struggle to collect their milk, especially for babies in intensive care, and the significant amount of breastmilk that is wasted in traditional nursing pads between feedings. As a mom, I experienced all the fear and anxiety when I almost lost one of my babies to Meningitis at 6 months of age. By witnessing and living all these struggles, I committed to find a solution to help moms to provide more of their precious breastmilk to their babies and for longer periods, breastfeeding is a gift that last a lifetime and impacts the lives of moms and their babies forever. I invented Lacti-Cups to solve some of the most basic challenges of breastfeeding and facilitate mom’s breastfeeding journey in the USA and around the world. Roughly 4 million babies are born in the USA every year, and 72% of newborn babies are breastfed for some time. After just six weeks 28% of moms quit breastfeeding, due to the challenges they face. This fact prevents babies from receiving all the immune protection that they need during their first year of life. The USA has 5% infant mortality rate, which is the highest for an industrialized nation. Reduction of Breast milk Supply due to Engorgement. Milk Stains at work on in Public places. Sub-optimal breastfeeding rates in the U.S. alone result in an estimated $2.2 billion annually in direct medical costs. The mortality rate in the USA is higher than many other industrialized countries. 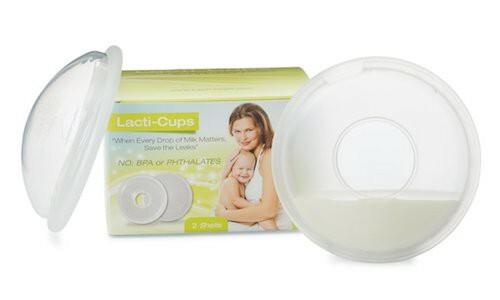 Lacti-Cups breastmilk collection cupsincreases breastmilk availability by 46%, breastmilk that was never accounted for and was wasted in nursing pads.This 46% can mean 4–16 ounces more breastmilk per day. Breastmilk can mean the difference between life and death to a premature baby. Breastfeeding is not only important to the baby’s health, it also plays an important role in women’s health. By creating products that make it possible to overcome the most common challenges of early breastfeeding, moms could effortlessly extend breastfeeding and protect their babies from serious medical conditions that threaten their lives during the first year of life. Lacti-Cups helps moms in so many ways that I consider them an Essential; a Must-have for every breastfeeding mom.